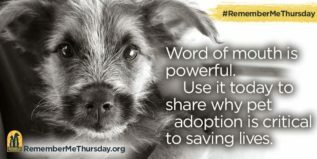 On September 26, 2019, let’s get the entire world talking about pet adoption. Tweet, tag, post and share the beauty and life-saving significance of pet adoption on social media. 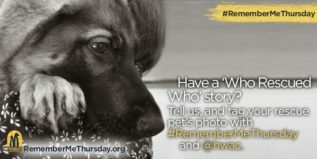 Let’s honor the lost pets who ran out of time and bring awareness to the pets we can still help by working together and using our voices. 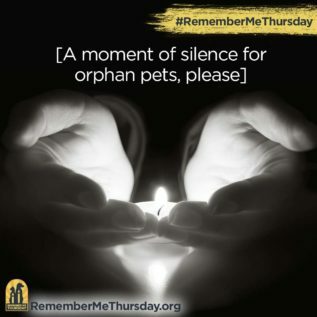 Let’s take social media by storm for orphan pets! Share pictures of how you remember and shine a light on orphan pets with your own rescue pets. 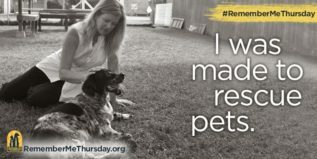 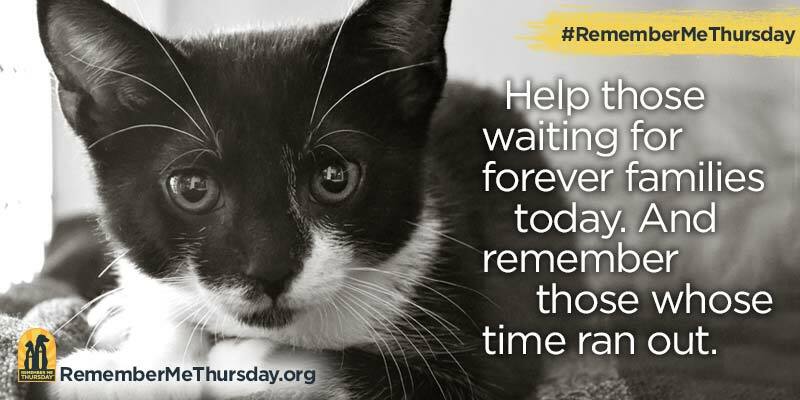 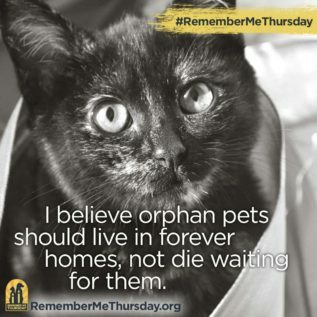 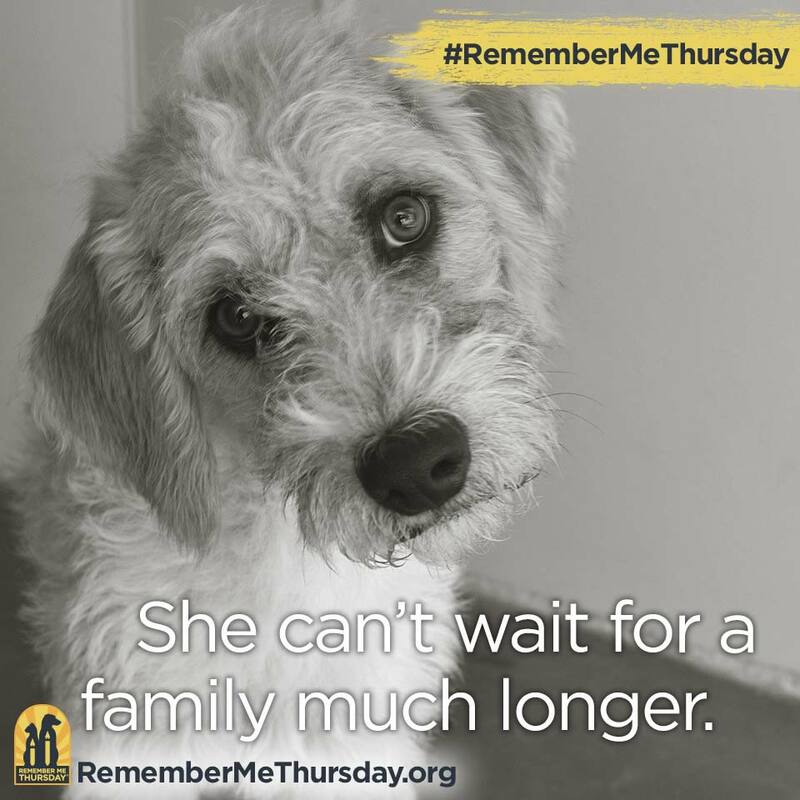 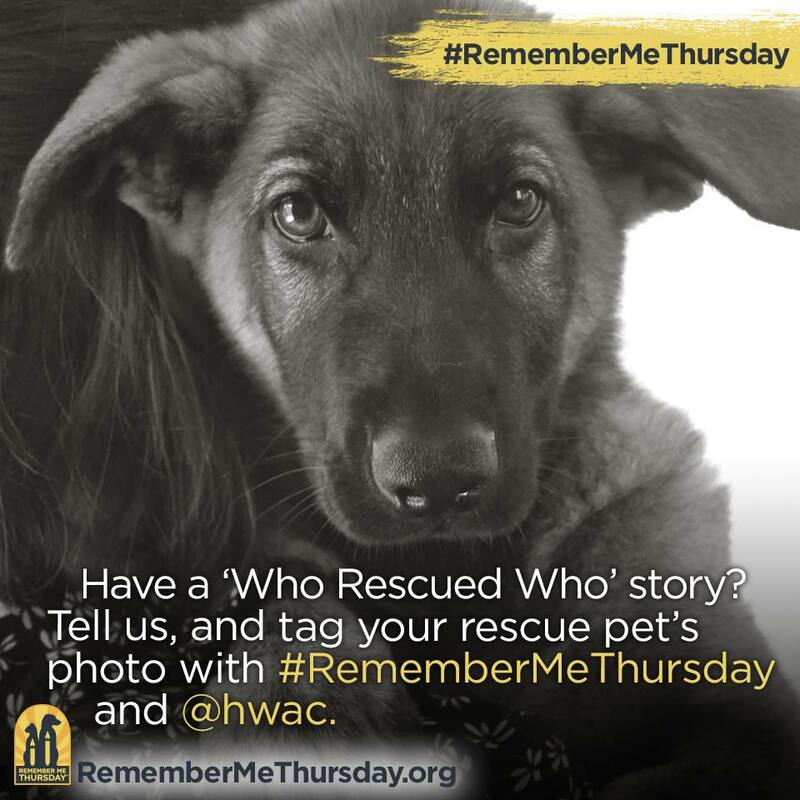 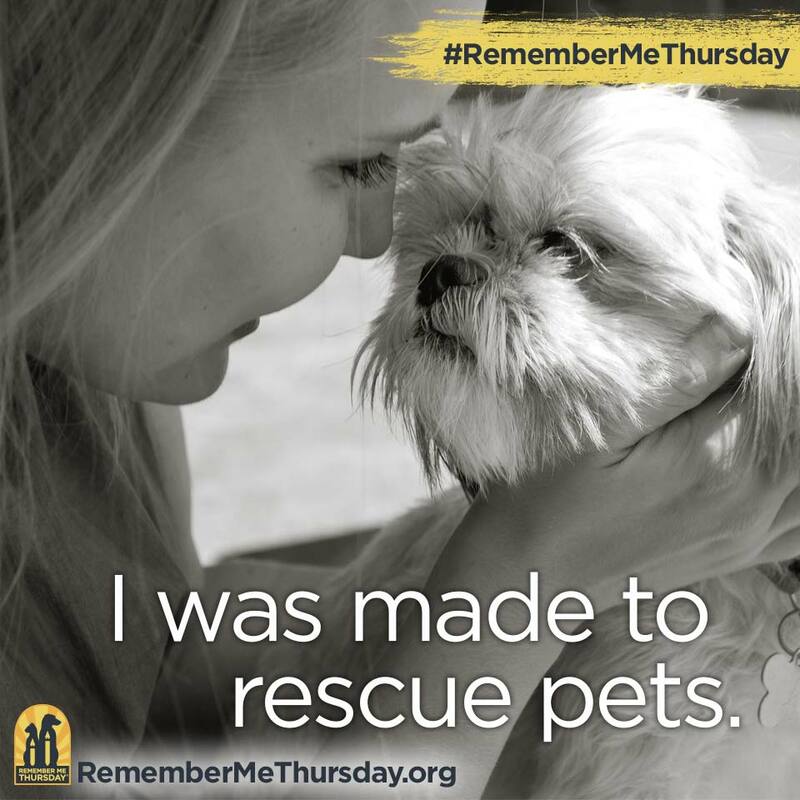 The #RememberMeThursday Contest awards three rescue pet advocates donations of pet food and funds to a rescue or shelter of their choice! Stay tuned! 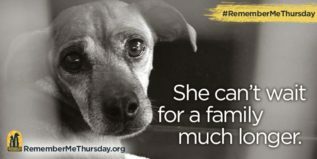 Unite with pet-lovers around the world on Thursday, September 26, 2019, to shine a light on orphan pets waiting in shelters and rescues for forever homes. 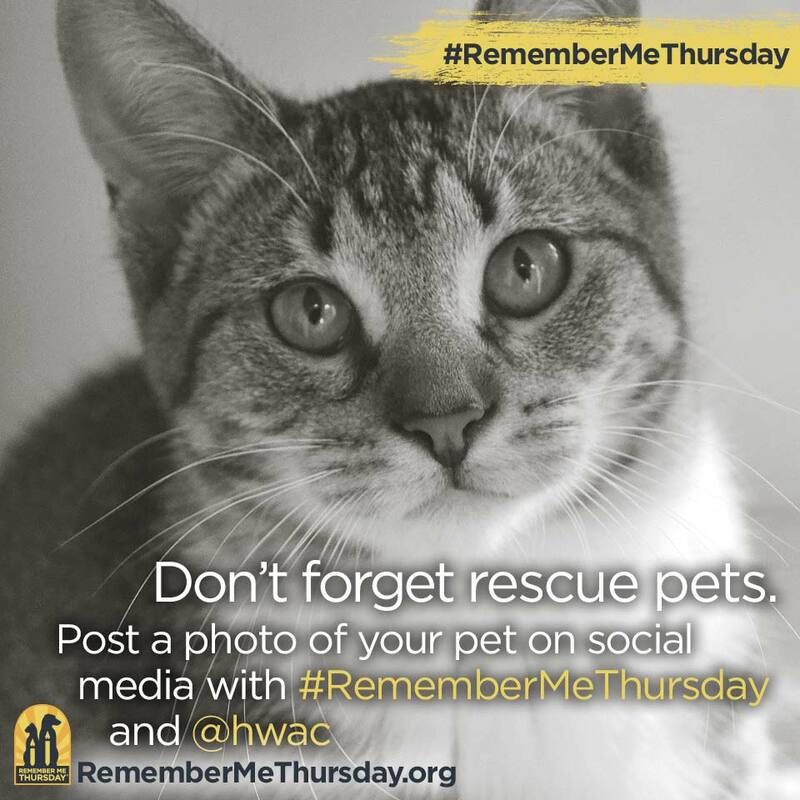 Sign up to receive reminders and stay updated! 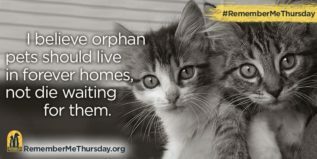 Help orphan pets waiting for forever families today. 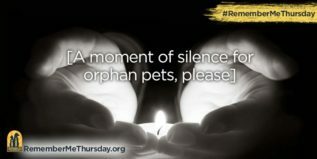 And remember those whose hope ran out. Any of the following social media ideas will help spread awareness for pets waiting in shelters or rescues! 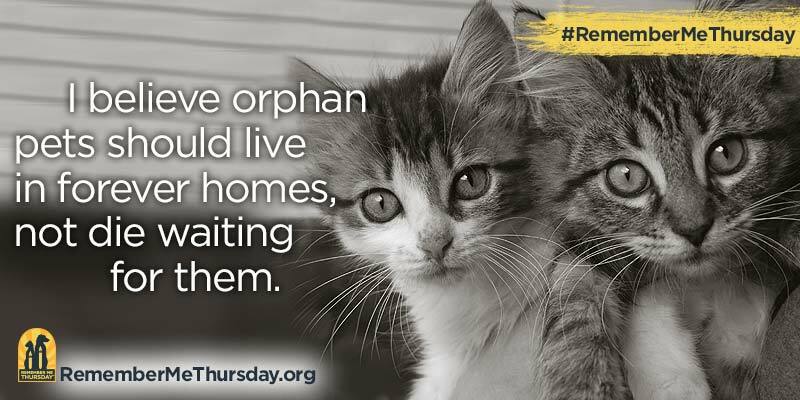 They need your voice to advocate for them. Attend a Remember Me Thursday® event near you. 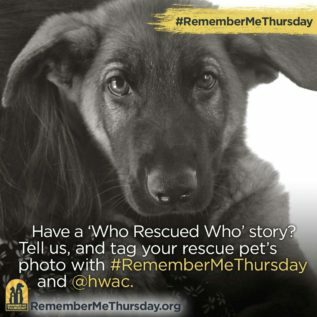 Find an event here! 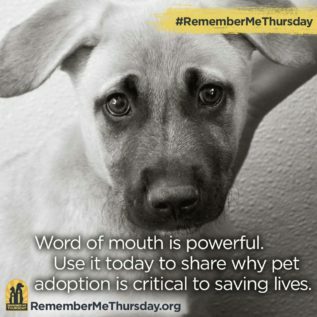 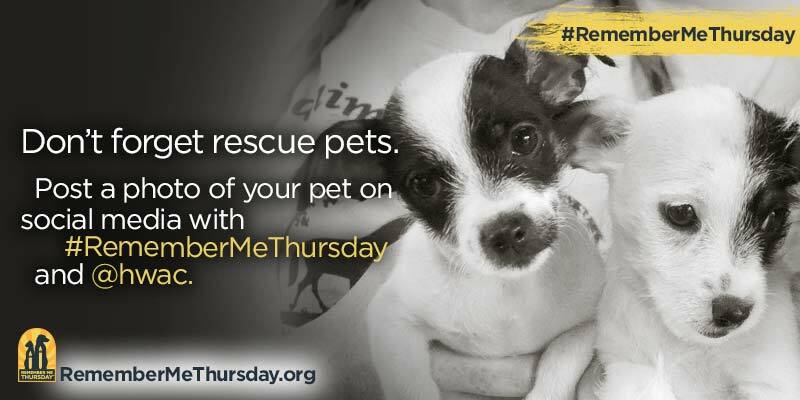 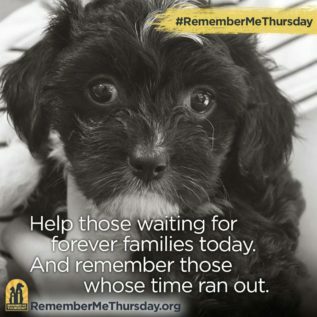 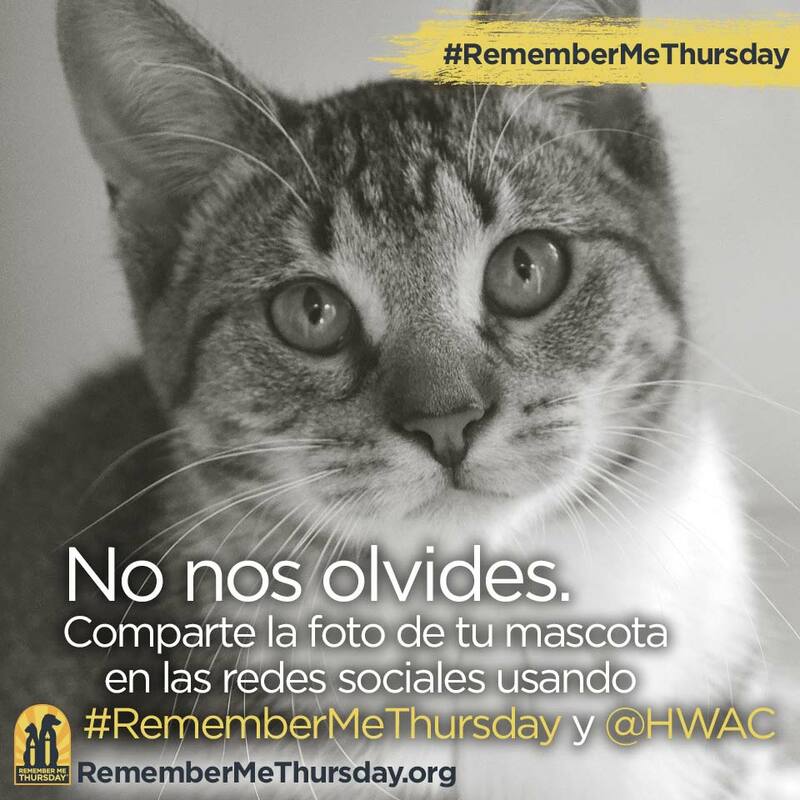 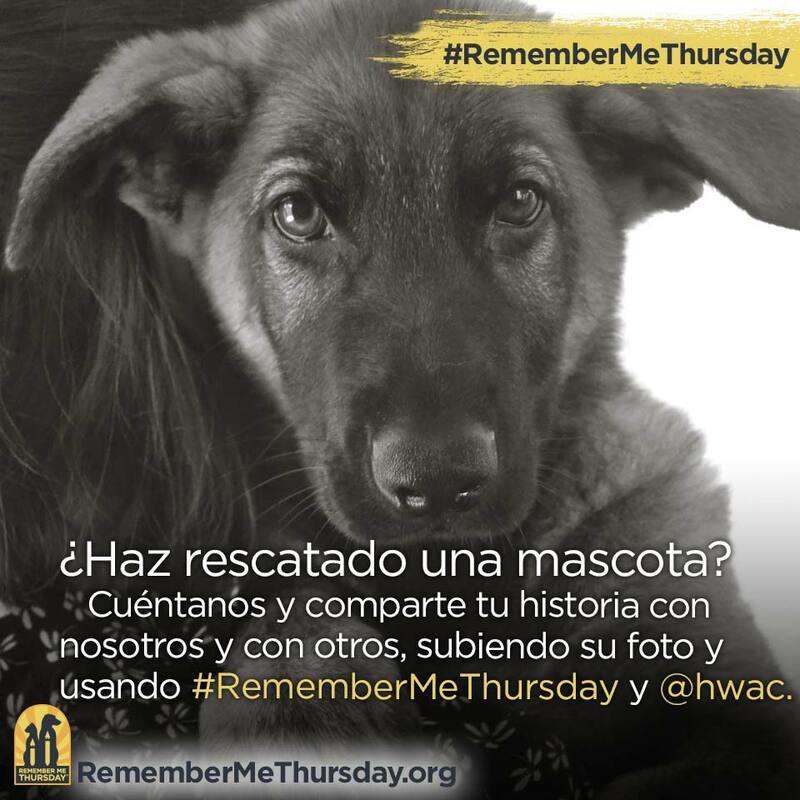 See if one of your local pet adoption orgs or pro pet adoption business is holding a Remember Me Thursday event! Get your child’s classroom involved with STEM To The Rescue! 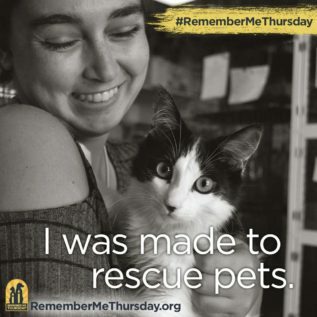 Download the official Remember Me Thursday song on iTunes, “This Candle Burns Bright” by Stevie Woodward. 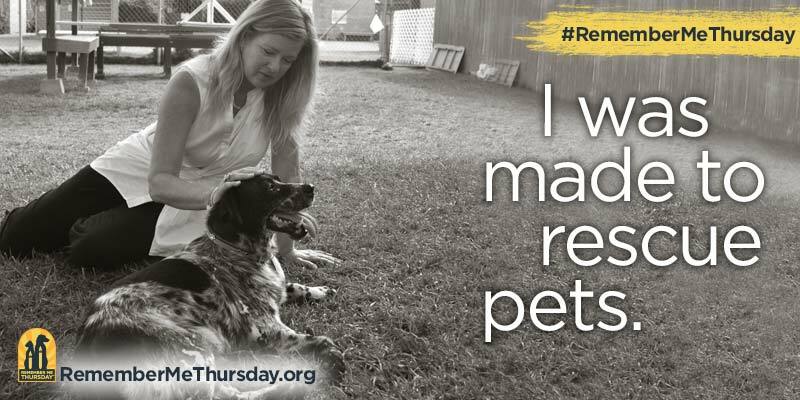 The choices are endless, do what inspires YOU!